Southern black church fires: The latest black church to burn, on Tuesday, was set on fire by the KKK in 1985. Several Southern Black Churches Have Caught Fire. The Latest One Was Once Burned by the KKK. The racially motivated mass shooting at Emanuel AME Church in Charleston, South Carolina, on June 17 left nine dead. In the two weeks since the deadly racist shooting at Emanuel AME Church in Charleston, South Carolina, at least six black churches in the South have been hit by a string of raging fires. The most recent fire broke out late Tuesday night in Greeleyville, South Carolina, just 65 miles north of Charleston. This is not the first time that the church, Mount Zion AME, has burned—its original structure was set on fire by members of the Ku Klux Klan 20 years ago. Firefighters spent more than two hours putting out the flames, which destroyed the roof and interior of the building, leaving only a few charred brick walls, CNN reports. Police officials say it is too early to determine the cause of the fire, but the blaze has attracted attention from local police, the South Carolina Law Enforcement Division, and the FBI. The Bureau of Alcohol, Tobacco, Firearms, and Explosives is also involved in the ongoing investigation. The cause of two of the other recent black church fires—one in Charlotte, North Carolina, and the other in Knoxville, Tennessee—has been ruled as arson. However, investigators said there is no evidence that the fires were hate crimes, or that they were connected. Rather, officials say that they appear to be unrelated acts of vandalism. Church fires last week in South Carolina and Georgia are still under investigation. Whether the blaze in Greeleyville on Tuesday was caused by arson or not, former South Carolina Rep. Bakari Sellers told CNN that the fire serves as “another punch to the gut” to a local community that has already seen tremendous pain. 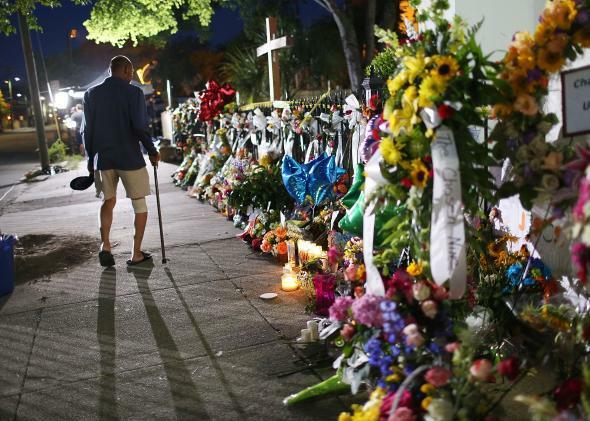 The Charleston shooting on June 17—allegedly instigated by a 21-year-old who publicly announced his desire to start a race war—killed nine people and launched a heated national debate about Confederate symbols. And the 1995* burning of the same church in Greeleyville by the KKK was part of a series of more than two dozen fires that hit black churches at the time. According to a report from the National Fire Protection Association, the number of fires at religious sites was twice as high in 1980 as in 2011. The NAACP issued a tweet on Tuesday afternoon—before the outbreak of the Greeleyville fire—warning black churches to be careful and hinting that history may be in danger of repeating itself. *Correction, July 1, 2015: This post originally misstated the year of the 1995 church fire as 1985.